Based on a video released by The Guardian’s James Dart, Moodwall will enable users to browse through videos based on their mood, which YouTube refers to as a “Vibe.” Vibes that users can select from are adjectives including funny, strange, catchy, inspiring and others. The feature appears to have been rolled out to a select number of users for testing purposes. This method of content discovery isn’t necessarily a groundbreaking concept, since video platforms like Netflix and music services have long provided a similar feature for its users. However, it’s still an important effort by YouTube and an indication that Google recognizes the value in the curation of its content. Compared to the confines of genre-based categorizations, Moodwall should give YouTube users a more intuitive way to find content they want. The front page is primarily made up of social content. 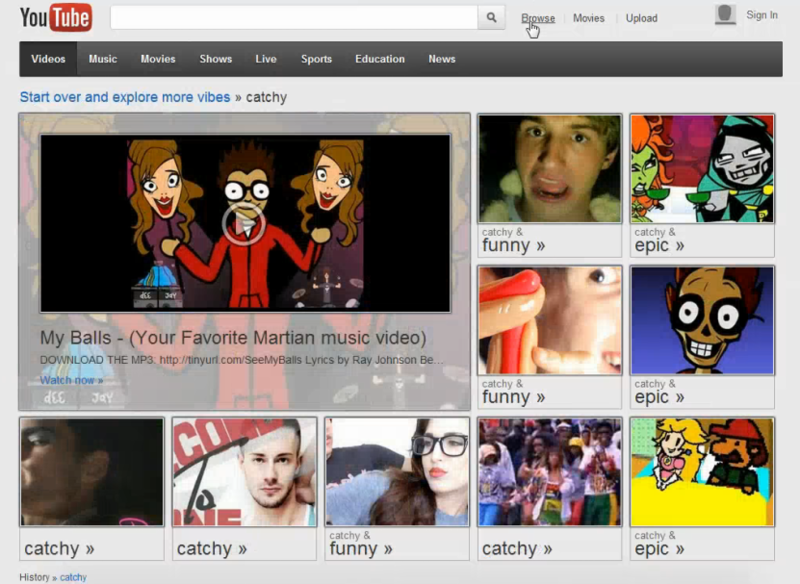 The central panel is comprised of videos uploaded or favorited by users you have subscribed to. The right column offers recommended videos. The left column lists subscriptions, categories of genres (the video page), and suggested channels. If the Moodwall were to be launched to the general public, it would likely replace the current video page that displays trending videos, and videos related to music, entertainment, gaming, style, and others. While we can see the potential in Moodwall and it’s a notable effort by YouTube, some users are already expressing their complaints on Google’s product support forum. In its current form, because Moodwall is currently a mere trial in what appears to be its alpha stage, we can’t say when the feature will be launched. In the meantime check out the video of the Moodwall below.